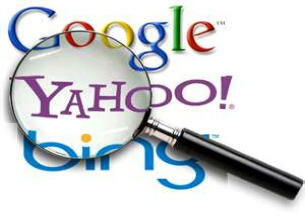 Search Engine Optimization or SEO is a process of doing things to make your website rank well with the search engines. The search engines use a formula or algorithm to decide who ranks on page one. This formula is constantly changing because the search engines goal is to deliver the most relevant results they can for people using them. They know that if you do a search for something and are happy with the results you will use them again. They can then charge businesses money to put their ads in the shaded areas on the search results page. The advantage of doing these ads or what’s called Pay Per Click (PPC) is you can have almost immediate visibility on page one. The disadvantage is it costs the business owner each time these ads are clicked on. Search Engine Optimization is a slower process to get you to page one but once you get there you can get unlimited clicks to your website without paying for each click. We believe SEO is the better way to go because studies show that 70-80% of people do not go to the shaded area or ads on a results page. Even though Google, Yahoo and Bing keep their exact formula a well kept secret, an experienced online marketing person will be able to optimize your website so the search engines feel your website is worthy of a first page ranking. There are three different areas we focus on. Search Engine Optimization Northwest Arkansas - The design or architecture of your website and the keywords used play a major role in success for your website. The architecture of the site will help Google, Yahoo and Bing determine what you feel is important on your website. The keyword density is another factor the search engines use to determine what keywords are important to your website. Once your website is live we have software that will analyze the keywords used and the keyword density on your website. We then compare these results to your top ranked competition. We then adjust the keywords used and density based on recommendations from our software and years of experience. This SEO or Search Engine Optimization process is repeated over and over again. As your site starts ranking for the most important keywords, then attention is given to secondary or less important keywords to help them start ranking. This is information that is embedded into the background of your website that is broken into 3 sections or areas. The title, the description and keywords. The same software used for analyzing the front half of your website is used for this area as well. Once we have the results we again compare them to your top ranked competition and start making adjustments designed to increase your rankings on the search engines. This search engine optimization process is repeated over and over again just like we did for content and keywords on your website. All three major search engines use links from one website to another as a factor in their ranking formula. They believe that a website with 100 links going to it should rank higher than a website with one link going to it. (Search Engines View These Links As Good Referrals) We use another piece of software in our seo process that allows us to uncover the links going to your competitors. We then analyze this information and choose safe links from this list to establish links for your website. It is important to be discerning when choosing links to establish because some links are considered spam by the search engines and if you use them it can result in the search engines decreasing your ranking. This is an area where experience is important to make sure the investment you are putting into your website is not wasted by someone trying to take shortcuts. All of these three factors are things that we work on on a monthly basis at different times to help your website beat your competition in rankings on the three major search engines. This might sound easy but search engines are constantly changing their formulas so its kind of like trying to hit a moving target. What is working today will probably need to be adjusted next week. The design or architecture of your website and the keywords used play a major role in success for your website. Once your website is live we have software that will analyze the keywords used and the keyword density on your website. We then compare these results to your top ranked competition. We then adjust the keywords used and density based on recommendations from our software and years of experience. This SEO process is repeated over and over again. As your site starts ranking for the most important keywords, then attention is given to secondary or less important keywords to help them start ranking.